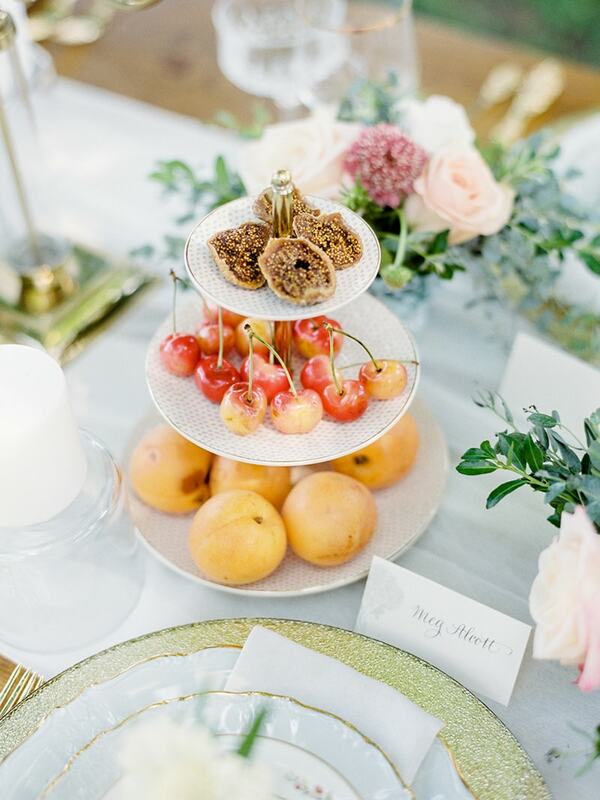 Whether you're in France or not, this French country chic wedding styled shoot will inspire you to create your own romantic outdoor celebration. From its perfect pastel color palette to the sprawling location, everything in this bucolic setting is enchanting. And it features two distinct styles that embrace the traditional and natural elements of a chic French wedding in the country. The invitation suite features a unique mix of classic and modern touches. Timeless calligraphy adorns the torn parchment pieces, while colorful and interesting envelopes seal the collection together. 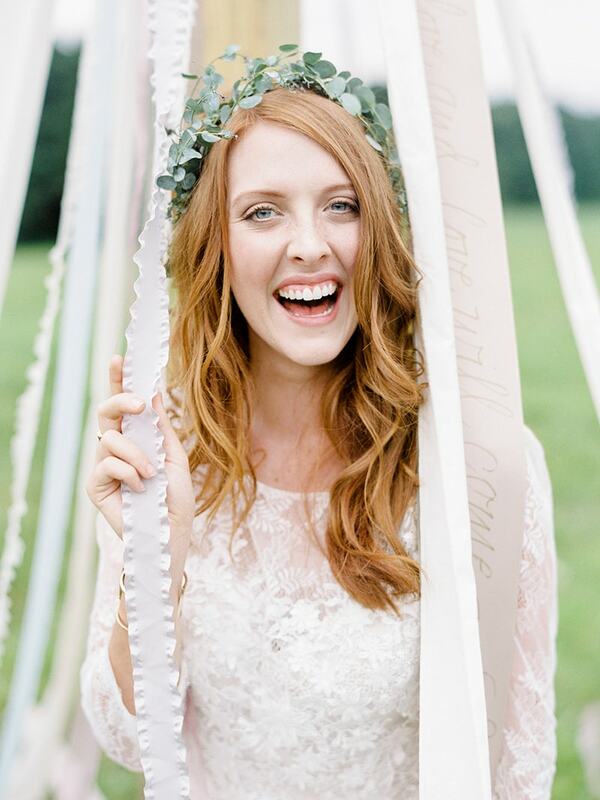 All of the flowers in this shoot teem with soft color. The bride’s bouquet features peach and ivory roses, abundant greenery, and assorted filler flowers all tied with pink, white and gray ribbons. The bride channels classic style with her long sleeve lace gown. She accents her look with a chic low updo and statement earrings. From her bouquet to the lace detail in her gown, the bride is the embodiment of femininity and grace. Before a wall of greenery, three adorable flower girls all don petite white dresses and floral hairpieces. With a traditional tablescape in mind, a glittering gold charger plate is the foundation for a collection of delicate china. The ornate display is capped off with a small flower vase for each guest. The table rests under a shade tree and includes a collection of various types of chairs and a bench for a modern take on classic dining style. The bridesmaids are a colorful group in romantic pastel dresses of various styles and shapes. The cake is displayed on a two-tier table in elegant fashion. The lovely creation is a naked three-tier cake with a cascade of flowers and below it is a darling display of small flowers in vintage jars and bottles. In their graceful pink and blue styles, the bridesmaids accompany the bride, who now lets her red locks flow past her shoulders for the second half of the shoot. The entire bridal party is a picture of pastel perfection. Although each lady wears a different style, collectively, they are all seamlessly beautiful. 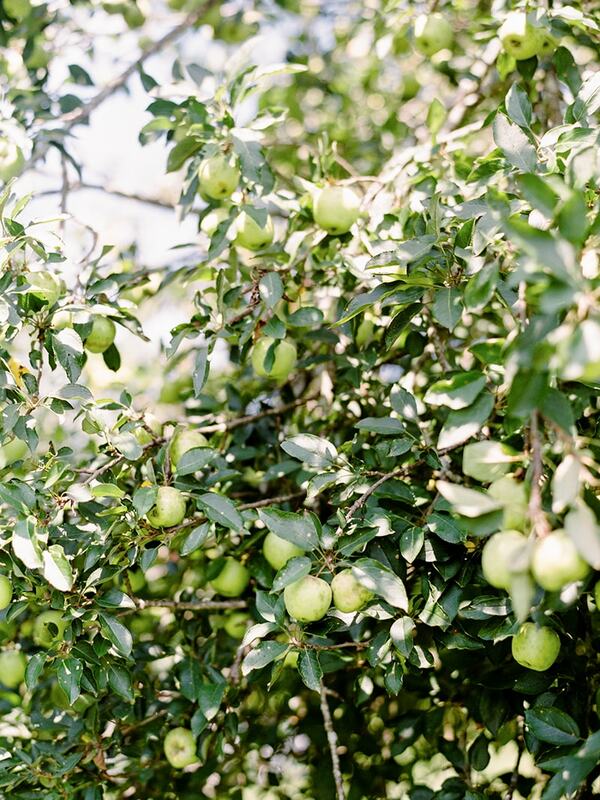 Embracing the connection to nature, the bride stands atop a small ladder to pick the greenest apple she can find in a nearby tree. 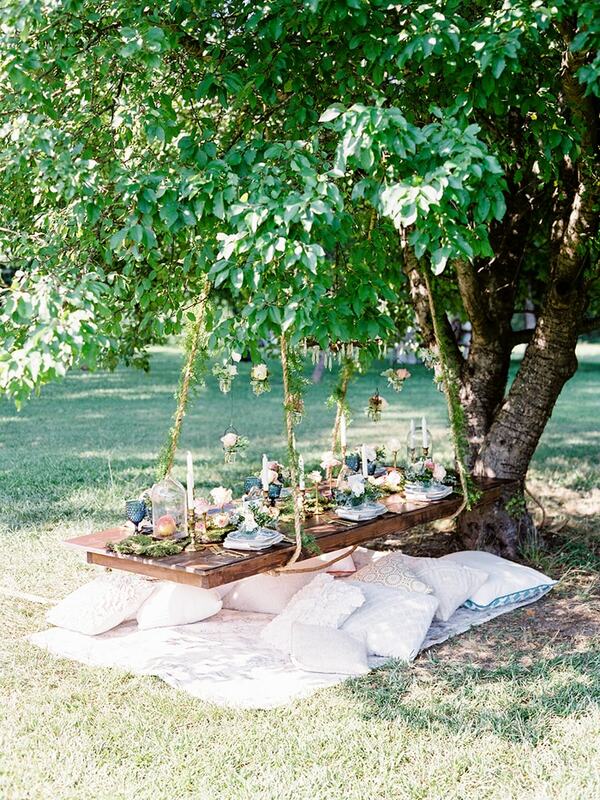 A novel way to dine is through a suspended table hanging from a tree. 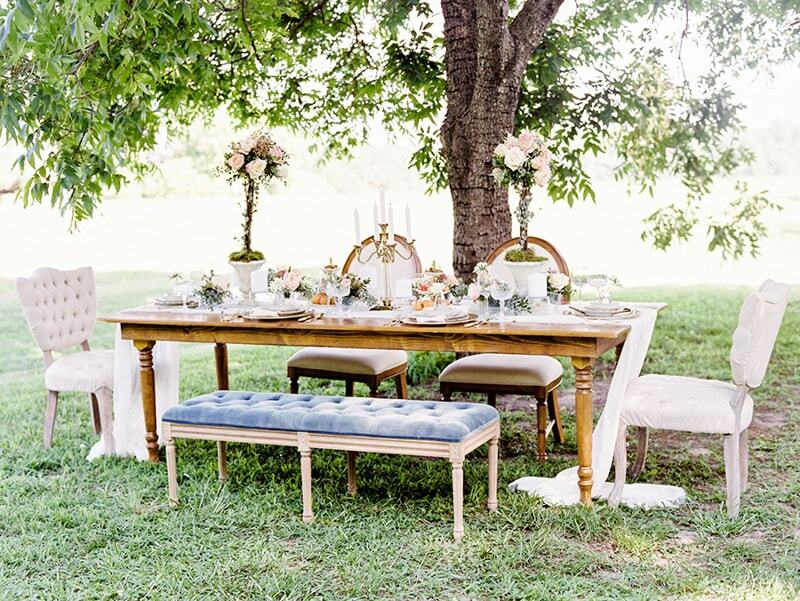 With the ground covered in blankets and pillows, the bridesmaids have a chic picnic. 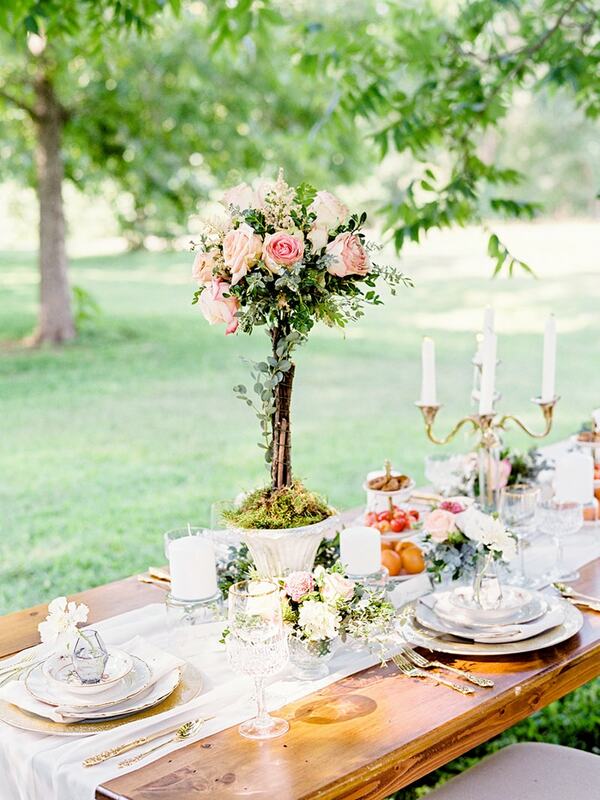 To embrace the natural setting, the table features a fresh moss runner alongside assorted flowers and china place settings. 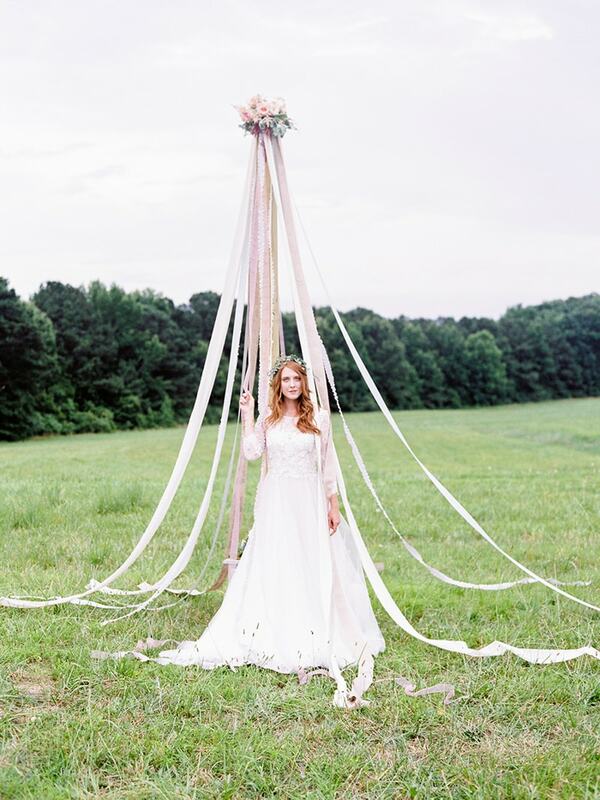 A pole with ribbons creates a fun moment for the bride and her bridesmaids as they dance around it. 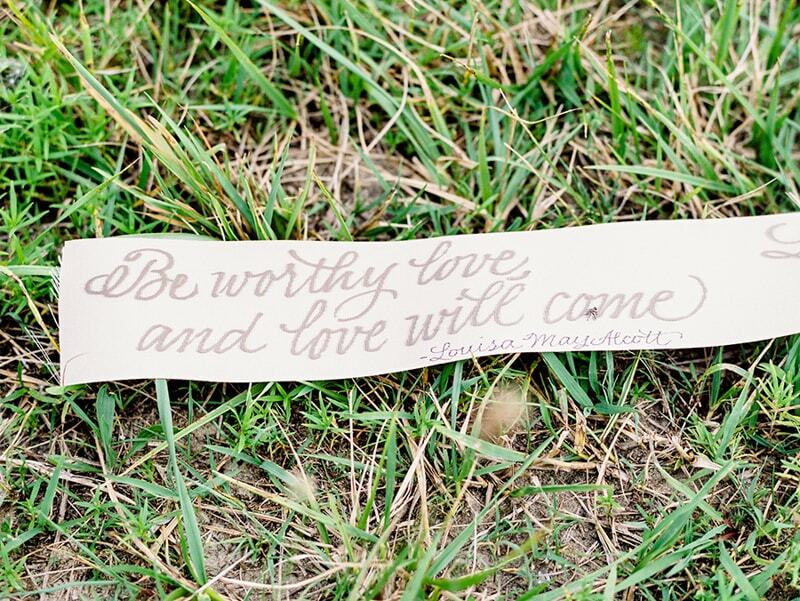 Some of the ribbons even feature love-inspired quotes, as well! To embrace the country experience, a nearby horse is dressed for the wedding with a fresh wreath around its neck. 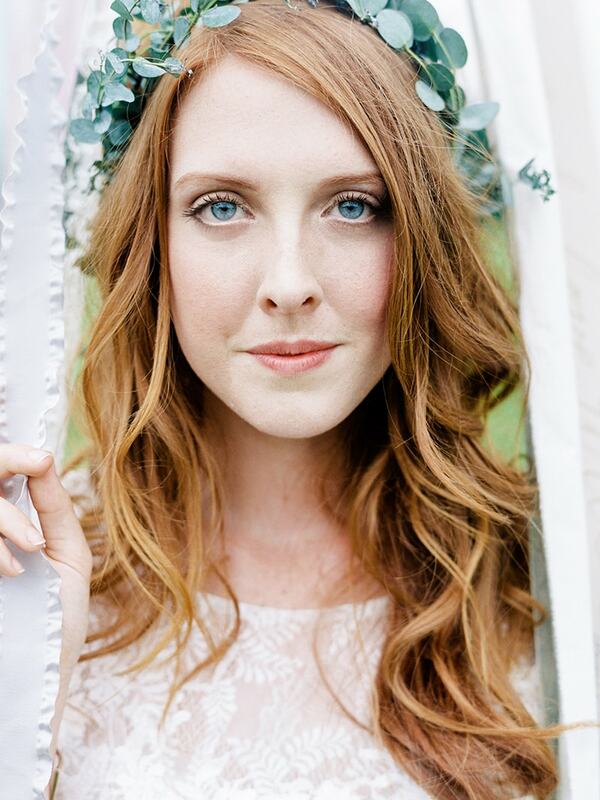 The bride is blissful, immersed in the child-like vision of the perfect wedding day. Whether you prefer regal or relaxed, both perspectives on French chic country style in this shoot are elegant and alluring. Let the gentle breeze dance through your hair, the delicate fabric sway with your step and the perfume of each and every soft-hued bloom etch memories in your mind.